In a time when electronic music is taking over the world, instrumentalists can keep pace by making sure their pedal game is on point. Here is a list of the more innovative EFX pedals available today. The Bigshot is an incredibly innovative piece of equipment. 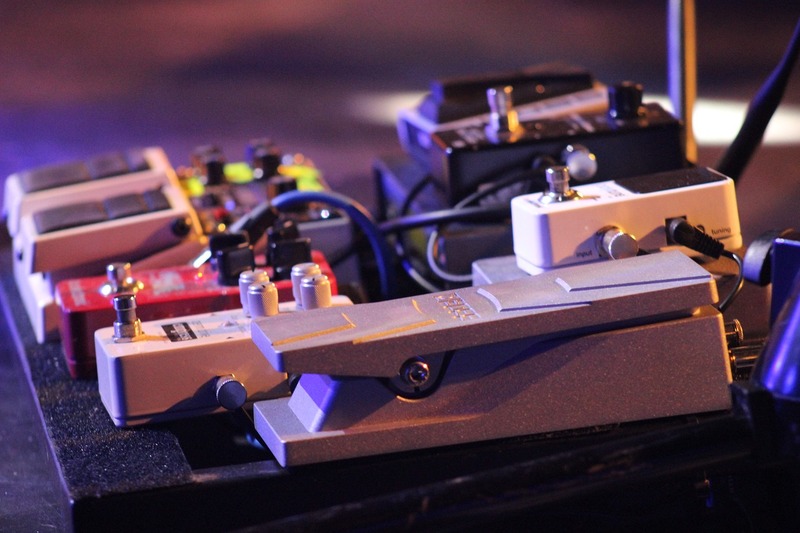 The popularity of dedicated loop pedals is skyrocketing, and Radial took it to the next level with the ability to switch between two effects loops, as well as turn off an entire chain of pedals when not in use. New and experimental sounds are always welcome in the oversaturated pedal industry, and the idea here was obviously to replicate the nuanced sound of a warped record. But the full capability of this vibrato and chorus pedal goes far beyond that. This dual overdrive pedal is basically two customizable overdrive pedals in one, meaning you never have to settle for access to a single overdrive tone. The range of tonal control was created by modeling the producible sounds of the pedal after the most sought after and iconic overdrive pedals to come before. A revolution in tuning came about with the first release of this pedal. Now with multiple tuning modes and an onboard buffer its better than ever. Here we have a pedal in which a good portion of the innovation stems from the price to ability ratio. Dual Channel, bendable distortion with some incredibly crunchy tones allows this pedal to sit in first class with a coach price tag. This is like the AI of effects pedals. It actually listens and learns the chord and rhythms you are playing and comes up accompanying drum and bass parts. A true blessing for the aspiring loop artist or one man band. 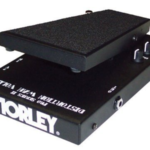 High end companies often overlook dedicated bass pedals. Wampler has designed this overdrive/distortion pedal specifically for a bass guitar. With its group thought process of creation, getting input from many players and sound innovators, the final product is quite near perfect. 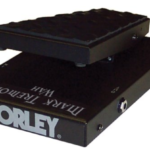 This is an intuitively designed polyphonic pitch shifting pedal with the ability to transpose an instrument’s pitch over a +/- three-octave range. That might sounds like a mouthful, but the sounds of this pedal are even more filling. Combination reverb and delay pedals are becoming a staple on the pedal board of many enthusiasts. The Dispatch Master is a killer example of broad range simplicity. Though it might not look like there is a whole lot going on, the achievable sound alterations go from basic and practical to off the wall experimental. Complete sound transformation can seem a little off sometimes, but this pedal quite naturally turns your guitar or bass into a smooth sounding vintage synth with a wide variety of tones. Its about time an easily workable foot pedal drum machine came into the word. Creating and controlling the beat without taking your hands off your instrument leads to endless rhythmic possibilities. All the functionality of its big brother at a portion of the size. The solid aluminum chassis with it smooth range of motion is built for precision movement, enhanced by the AUX output that allows the DVP4 to function as an expression pedal. This red knob version of the original expands its base from two to four re-issue versions of legendary delay chips. It’s a perfect blend of classic vintage analog and modern amenities such as tap tempo and the ability to stash presets. A DIY sound station, the creative possibilities with this pedal are only limited by its users imagination. This pedal is a masterpiece of innovation that lacks nothing for those seeking to hunt down their own novel tones. The 6 modes on this 8 step sequencer offer the guitarist new and unique sounds. It is certainly one of the most versatile pedals on the market, allowing an out of the box musician to access some previously difficult or even impossible to make sounds. Distortion will never die, only evolve, and with his tweaked out so called Mythical Distortion, Brian Wampler has hit a new sweet spot in the tones that can be achieved with such a pedal. Here’s forward thinking for you, if it’s not broke, don’t fix it. Companies are always tweaking and adjusting new models, but this is a great example of why not to mess with perfection. It might not technically be a pedal, but this tape delay and looper is one of the most outrageously multi-capable pieces of equipment to hit the scene in a while. The nickname Interstellar Space Machine is appropriate, supported by its incredible out of this world looks and sonic range. The voltage (distortion) control on this pedal not only alters the super fuzzy sound it produces, but the insane looking flux capacitor like xenon coil that sits in its center. It stimulates both sonically and aesthetically. Craig is a contributor to The Singer’s Corner, which is a great place to learn, refresh, and delve into the music world. Whether you want to learn a new approach to singing, give you tips to make you better, and teach you ways to be the best of the best. 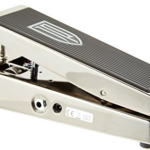 Dunlop GCB95 Original Crybaby Wah Pedal Review – Best Wah For Funk?